Traditional Middle Eastern recipes use natural ingredients that have been available for hundreds of years. 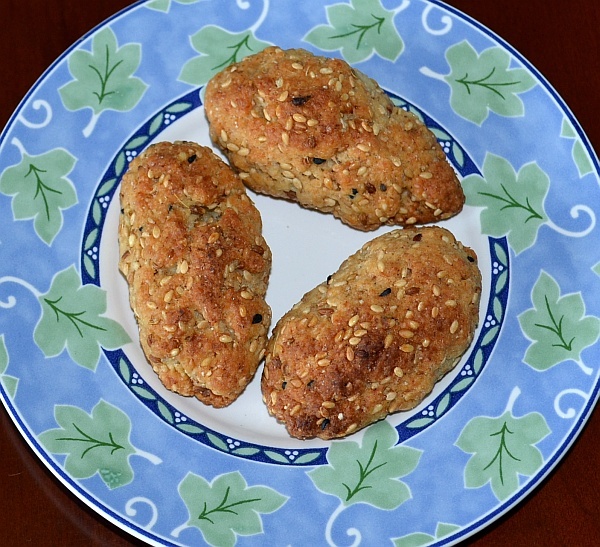 My neighbor Suad provided the recipe for these cookies which are flavored with the seeds of sesame, anise, kazha, and mahlep. The kazha and mahlep powder can be found in Middle East markets. The kazha seeds look like black sesame seeds and have a slightly pungent bitter taste. The mahlep powder tastes like almonds because it is made from the kernels of the St. Lucie Cherry; it can be substituted with 1/2 tsp of almond extract. Preheat the oven to 350°F (177°C). Mix all the dry ingredients together. Add the vegetable oil and mix until the ingredients start to form a sandy mixture. While mixing, slowly add water (approximately one cup) until the dough has just enough moisture to be shaped into small balls or bars about an inch thick. 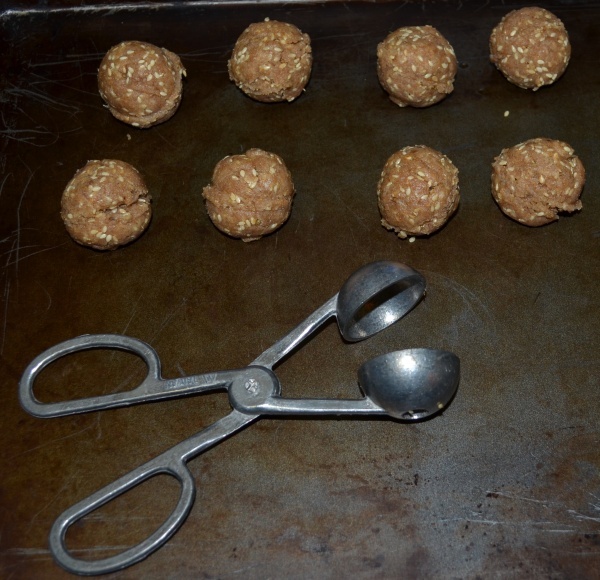 Meatball tongs or a small ice cream scoop may be used to form the cookies as illustrated below. Place the formed balls on a baking sheet, and bake until the bottoms of the cookies start to turn brown, about 20 minutes. Turn the cookies over and bake for an additional 15 minutes to obtain a crisp center. Allow the cookies to cool and store them in an air-tight container.